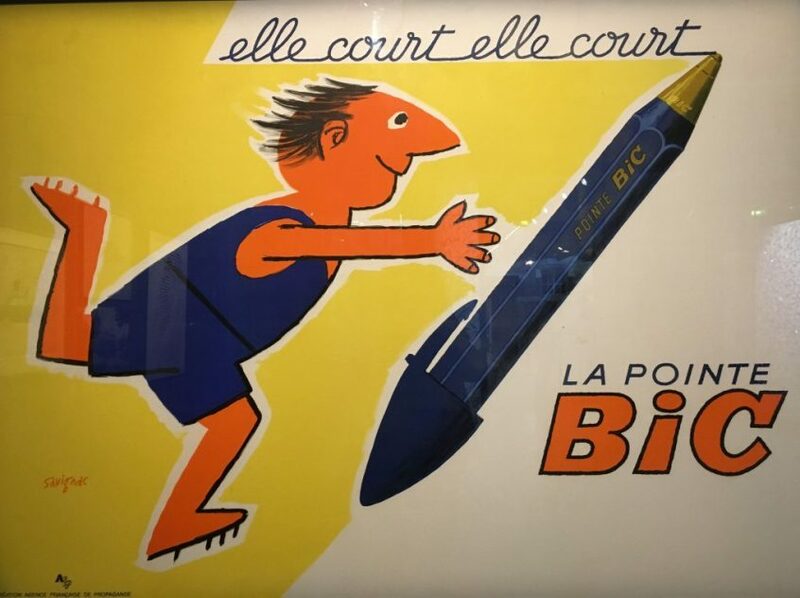 Marcel Bich, the genius founder of one of France’s most popular brands and the world’s most sold pen, (the 100 billionth was sold in 2006) the Cristal Bic, would have enjoyed this show at the very popular cultural center Le 104, near la Villette. While approaching this large building which used to be a funerarium, one encounters low income housings and all religions and races. Once inside, it is mostly “culture vultures” and children who jump around their dedicated playground. 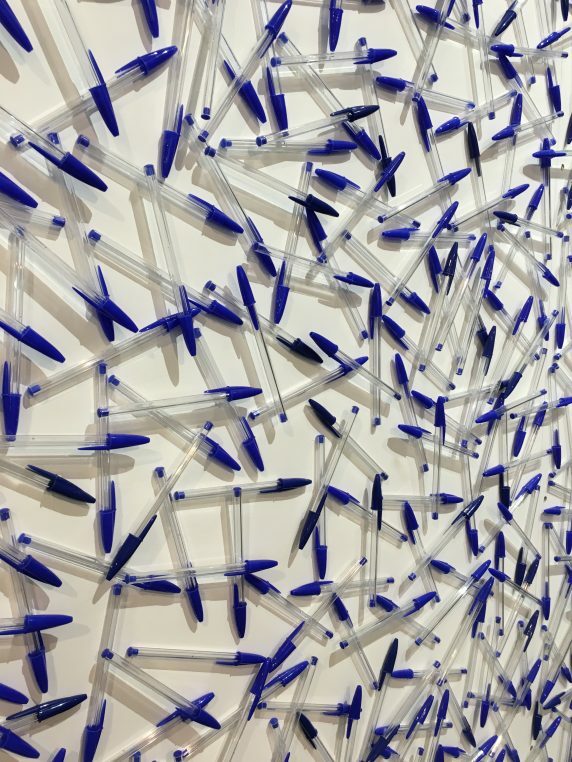 The art collection of Société Bic is exhibited there until May 27. The show is very large including 140 pieces by eighty artists. 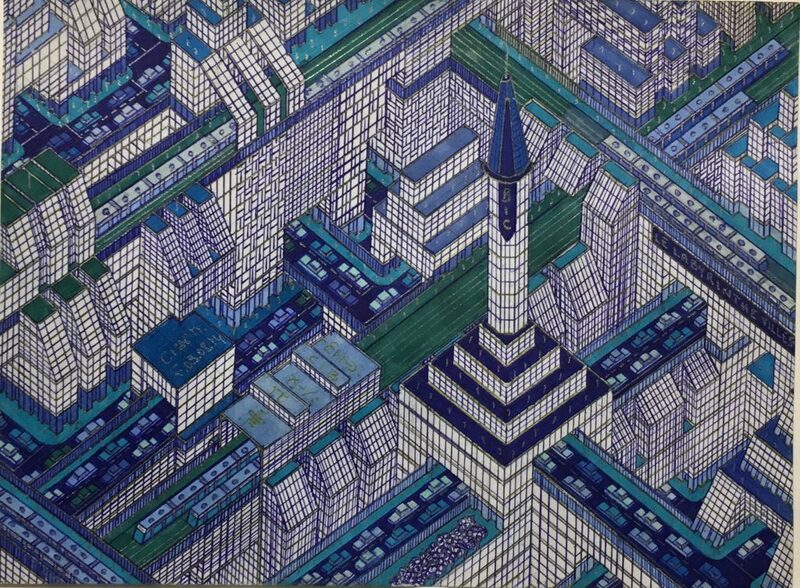 It is hung in the basement of the huge “104” building and there is a strange feeling of unease in the concrete galleries showing works made mostly of little Cristal ballpoint pens. It starts with a long dress designed by Oscar Carvallo in 2012, made of 521 Bic lighters and weighing 240 kgs. 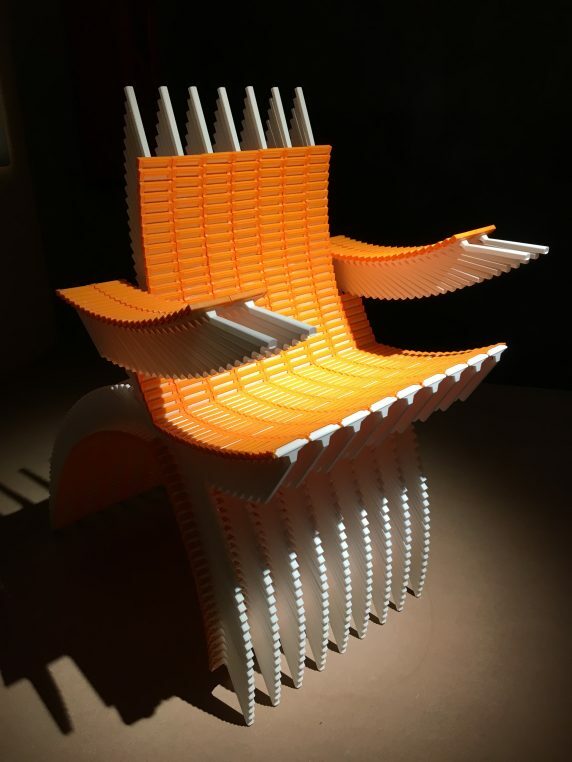 There are fun lamps and suspensions made of pens, a beautiful wall of 15 000 pens by Austrian artist Herbert Hinteregger and a Cristal curtain by Gigi Conti. A few adds from the fifties which show Marcel Bich’s inventivity at the time. 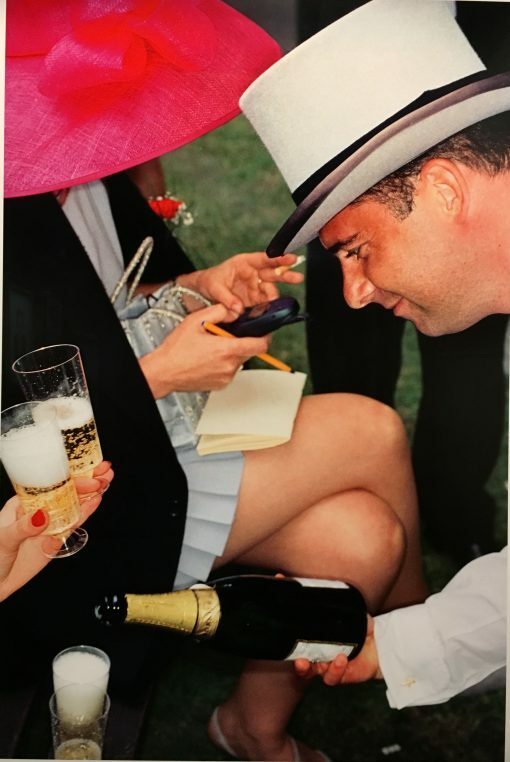 Then comes graphic art with artists such as René Magritte and a portrait drawn with a “stylo Bic bleu”, Alberto Giacometti who draws his brother Diego, César’s high perched bird, Jan Fabre’s abstract drawing and Martin Parr who photographs a lady at Ascot writing with a Bic pen. 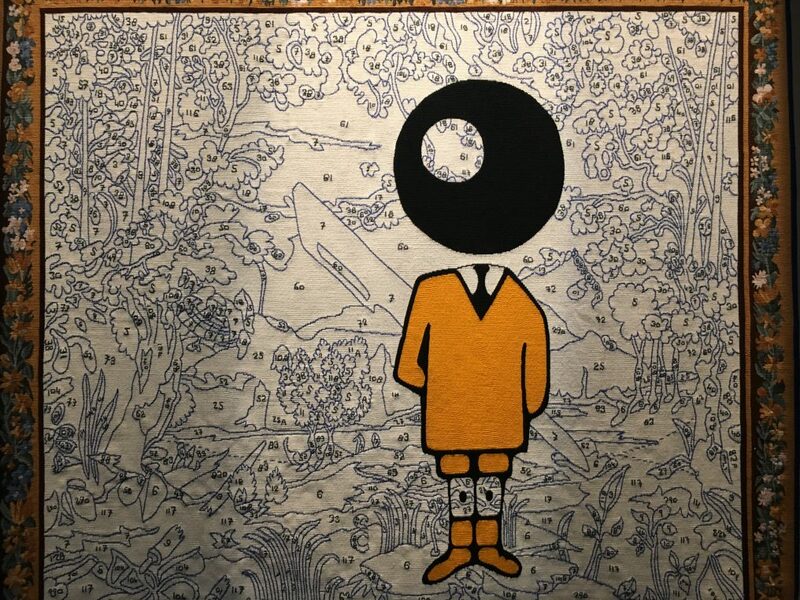 The last part of the show is devoted to young artists who use the ball point to draw such as Vincent Servoz, Bulgarian artist Lena Andonova and Mamadou Cissé, an artist from Senegal, who both work in Paris. 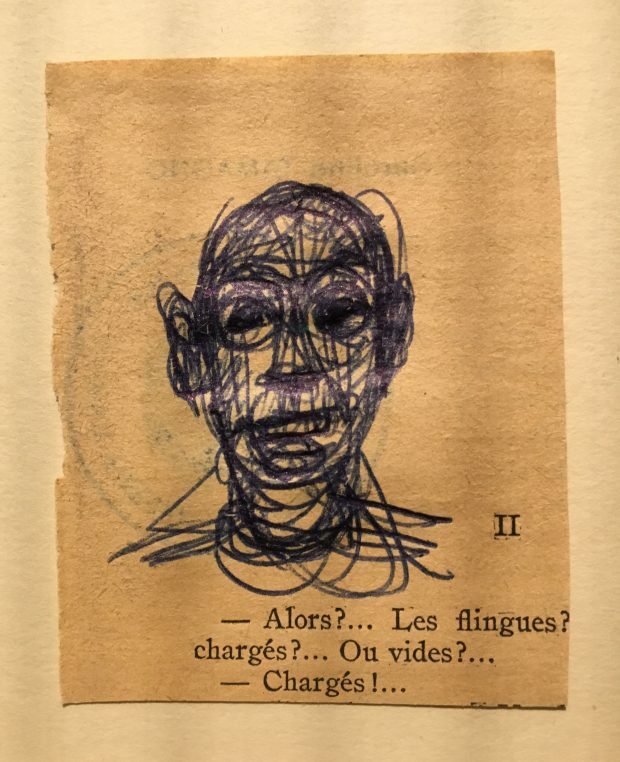 There is no continuing line for the show except the medium of the Cristal Bic and one discovers that ballpoint pen can be used as brilliantly as a pencil by some of these artists. It is fun meandering into these diverse pieces of contemporary art and mostly, one understands how the Cristal pen, this unique creation by Marcel Bich in 1950, could have become a worldwide phenomenon… It is the least expensive medium for an artist!